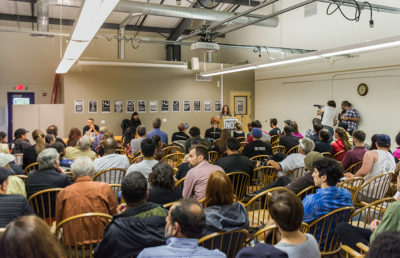 Seven right-wing protesters tried and failed to enter a celebration of the 100th anniversary of the Bolshevik Revolution at Revolution Books, a well-known local communist bookstore, Sunday evening. 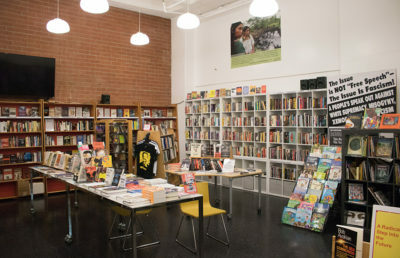 The event attendees, who at first outnumbered the protesters, lined up across the front of the bookstore in silence to prevent the protesters from entering. Guy Taiho Decker, one of the right-wing protesters, allegedly attempted to enter the bookstore while livestreaming the entire event and repeatedly demanded, “Why are you discriminating against me?” in reference to the blocked entrance. 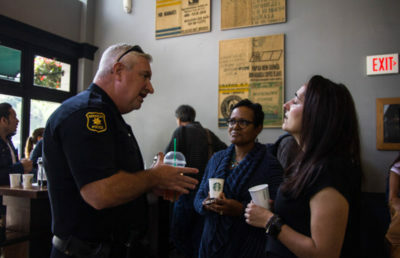 Decker then called Berkeley Police Department to file a complaint against the bookstore for harassment, and the protest concluded with the arrival of BPD officers, who determined that no crime occurred and made no arrests. The event attendees standing in front of the entrance were skeptical of the protesters’ stated intentions. One attendee pointed to potential violence as a reason to prevent the right-wing protesters from entering. While some of the protesters said they were members of the “Make America Great Again” movement, Davis said this particular gathering of individuals was not affiliated with a specific organization. 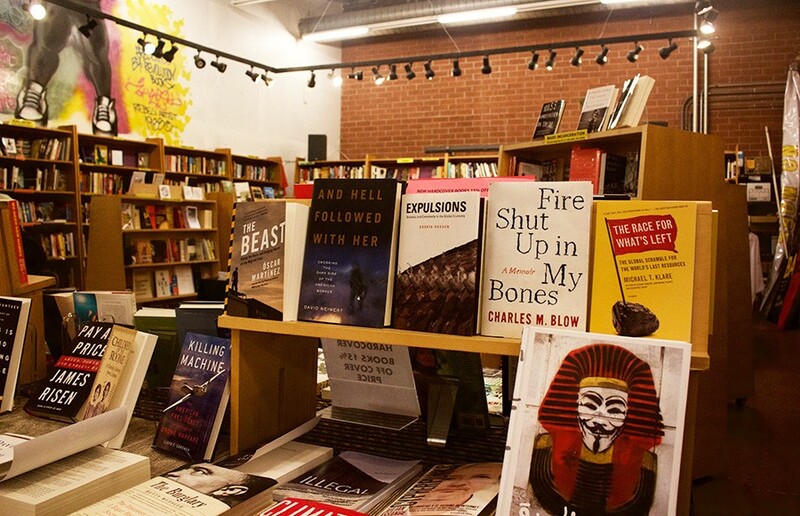 Revolution Books manager Reiko Redmonde said she thinks the protesters decided to attack the bookstore at Sunday’s event because of anti-communist sentiment.